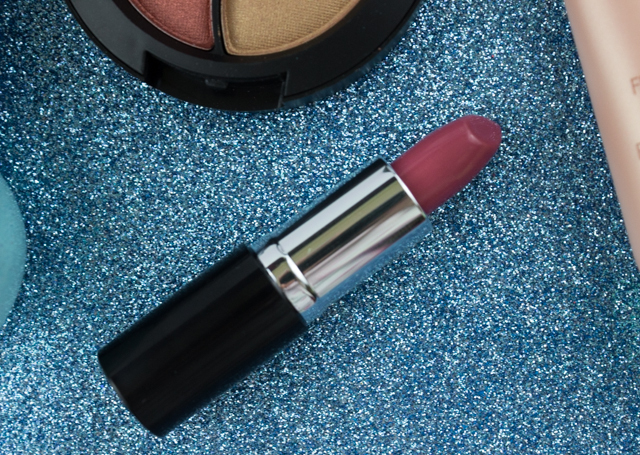 When spring time rolls around, some of my favorite products to sport are shimmered shadows, pink lip colors, and pastel tips. And I always have to have radiant looking skin-it's a must. 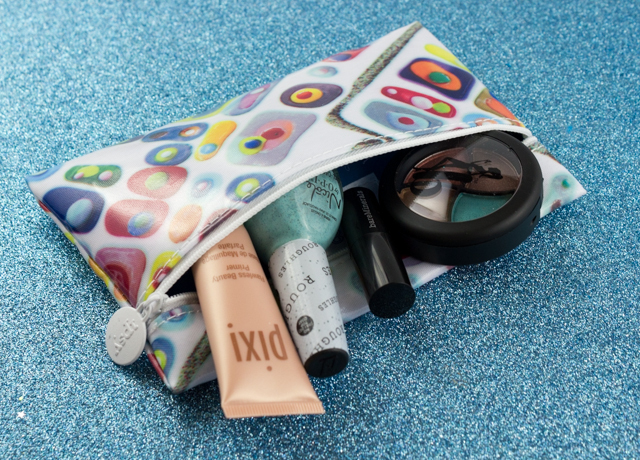 Luckily for me, my March Ipsy bag covers it all, and then some. Isn't the bag neat? 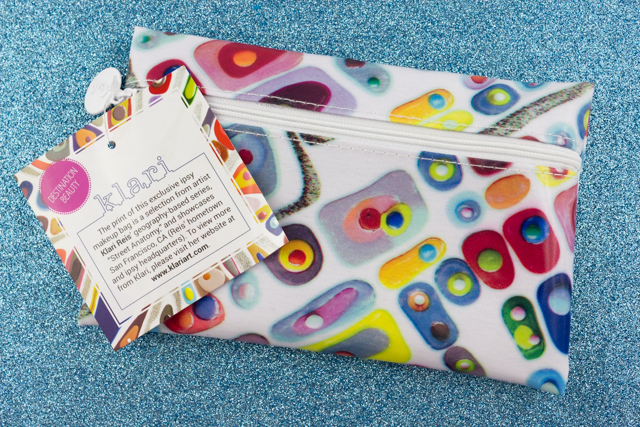 The print was designed by San Francisco, CA artist, Klari Reis. 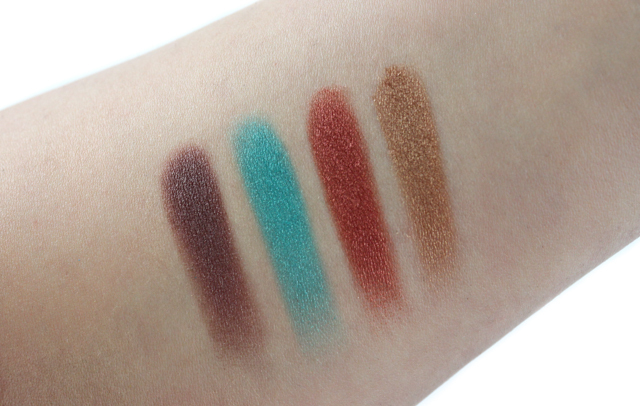 Be a Bombshell Bora Bora Eyeshadow Quad: I was so excited to see these gorgeous eyeshadows in my bag. The colors are right up my alley-especially that teal, which makes for a lovely color pop against the neutrals, and I love how nicely pigmented and smooth the shadows are. 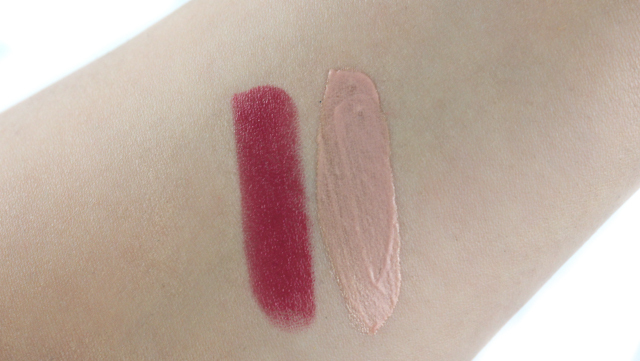 bareMinerals Marvelous Moxie™ Lipstick in Get Ready: This rosy pink lip color is easy to wear and very flattering on. And because it's infused with ingredients like omega fatty acids, and vitamins a, c, and e, lips feel nourished and moisturized. Nicole by O.P.I. Roughles: I am not usually a fan of nail colors that dry with a pebbled textured finish, so I really didn't think I was going to like this nail color much. But turns out, I do! I received "On What Grounds?" 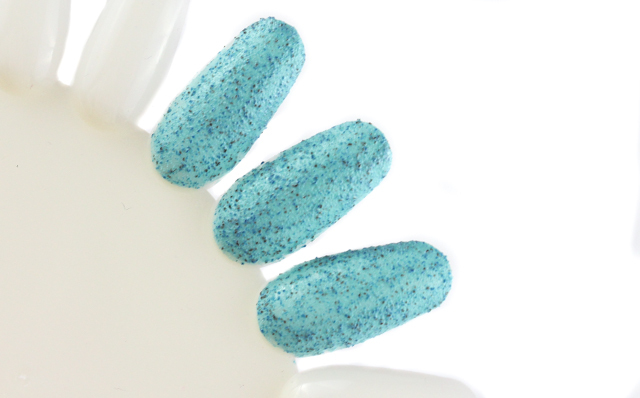 which is a gorgeous turquoise that is very on trend for spring. Application was really easy, and I got an opaque coverage with just two coats. 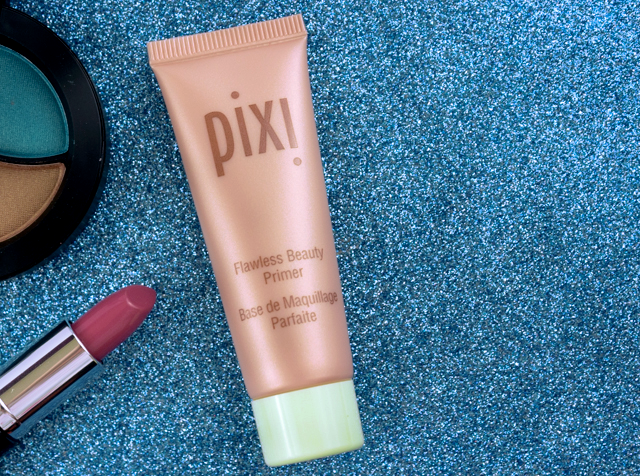 Pixi Beauty Flawless Beauty Primer: This face primer contains vitamins and other anti-aging ingredients which revitalize, tone, and impart a radiant and youthful glow on the skin. This also helps hydrate, nourish, and even the skin tone. I can't wait to try this! Nicole by O.P.I. Roughles-On What Grounds? I am really happy with the items I received in my March Ipsy bag. I think it contained a fun assortment of products that will transition well into the spring and summer months. These brights are such a nice change from the deep and murky colors of the winter. It reminds me that spring isn't all that far away. When it comes to the value of the bag ($40), I was not disappointed. I received two full sized items (Nicole by O.P.I. 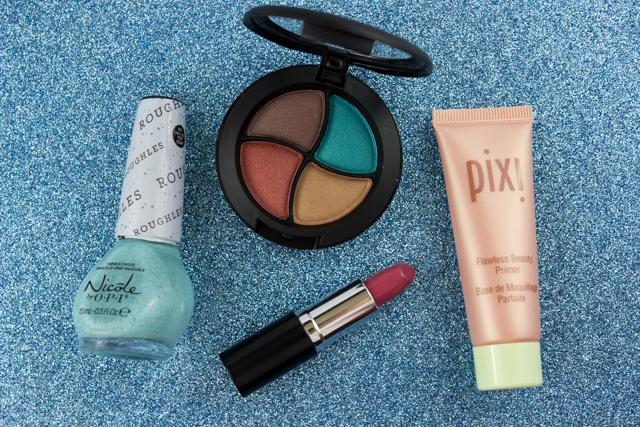 Roughles Nail Color, Be a Bombshell Bora Bora Eyeshadow Quad), and two generous deluxe sample sizes (Pixi Beauty Flawless Beauty Primer, bareMinerals Marvelous Moxie™ Lipstick in Get Ready). For $10, I am not complaining. I can't wait to see what Ipsy has in store for April! Omg, everything in this month's bag is amazing! I'd probably wear everything but the nail polish because I don't like textured polishes! But the shadows look soo good! I was really happy with the products this month, Sharlynn! Ahh wish I got the products in this bag! So awesome! 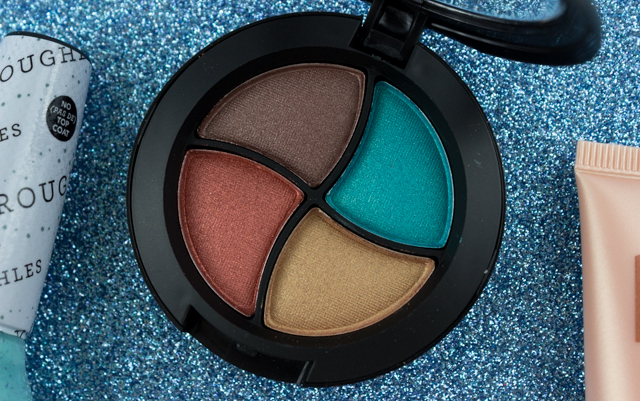 The Be a Bombshell Eyeshadow Quad in Bora Bora is my favorite! That's a super cute bag.